Pastors will always be on the front lines of care, especially during times of crisis. But there are always many more needs for ongoing, one-to-one care that pastors cannot effectively meet by themselves. Stephen Ministry provides a biblical solution - equipping God's people for ministry. Gifted lay people are trained to support and extend the care that pastors continue to provide. Stephen Ministers reach out with God's love to people who are hurting - both congregation members and nonmembers alike. 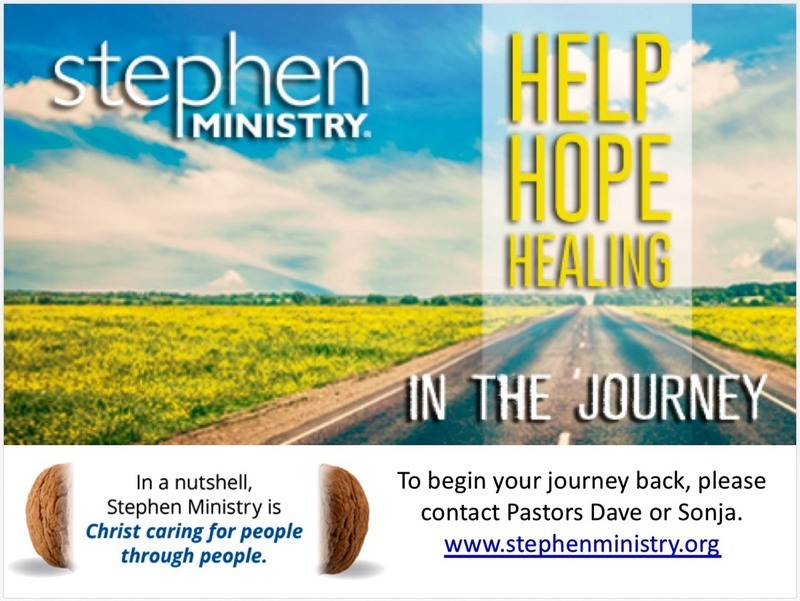 Do you know someone else - perhaps a friend, neighbor, coworker, or relative - who could benefit from Stephen Ministry? Then feel free to talk with Jimmy Schriewer at 830-305-5442. 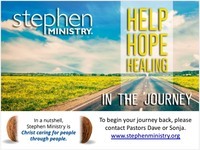 Also, feel free to check out Stephen Ministries website www.stephenministries.org or call 314-428-2600 to learn more. What is Stephen Ministry?? Our congregation's Stephen Ministry equips lay people to provide confidential, one-to-one Christian care to individuals in our congregation and community who are experiencing difficulties in their lives. A congregation member with gifts for care giving who was carefully selected to serve in this role. A caring, Christian friend who listens, cares, prays, supports and encourages.